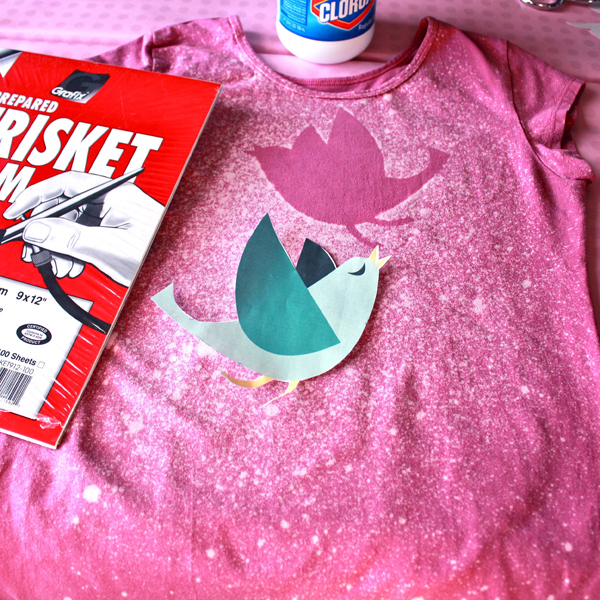 Project Description: Create your own wearable t-shirt art! 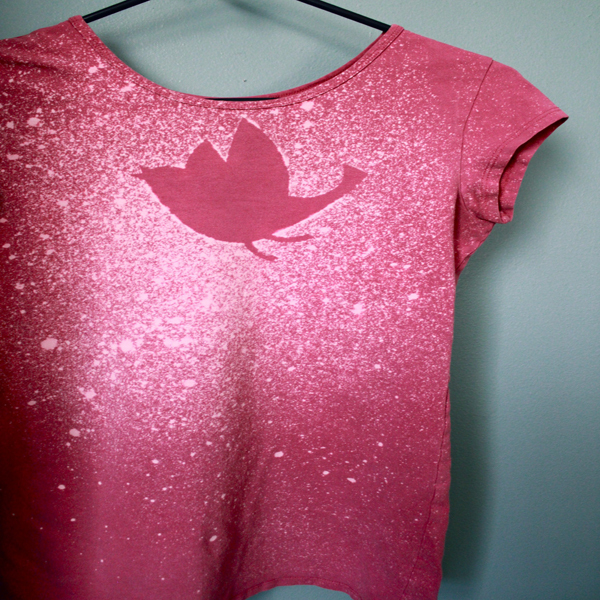 Design an original look using Grafix Extra Tack Frisket Film, a spray bottle and bleach. It’s so easy and stylish! Begin by printing the image you want on your t-shirt. Remember, you will only see the silhouette of the image. Tape the film over the paper image and cut around the outside of your image. Remove the paper backing from the film and adhere the film to your t-shirt. Position the film so that there are no wrinkles or bubbles. Burnish the film to t-shirt with the help of a smooth flat object, like a credit card. Insert a scrap of cardboard inside your shirt so the bleach doesn’t bleed through to the back. Fill a clean spray bottle with a few inches of bleach. Then, head outdoors since the next step can be messy. Lightly spritz the shirt with the spray bottle of bleach. Stop when you’ve reached the level of lightness you want. Rinse the t-shirt thoroughly under water to stop the bleaching process. Remove the film to reveal a nice sharp outline of your image. Wash the t-shirt in the washing machine by itself once before wearing or washing with other clothing.